I received a complimentary product to facilitate my review. All thoughts and opinions are my own. Every year I feel conflicted about some of these Christmas activities such as Elf on the Shelf. Don’t get me wrong, the Elf on the Shelf is great, and we have one, but I worry about the true meaning of Christmas getting watered down. As a mom, I want my boys to enjoy the magic of lights, Santa, and presents but also realize that without the birth of Christ that none of this would be happening. Teaching the Christmas story can be somewhat daunting, especially when your children are young like mine. I want to make the story fun in order not to overwhelm them. This why The Star From Afar is such a great Christmas tradition. 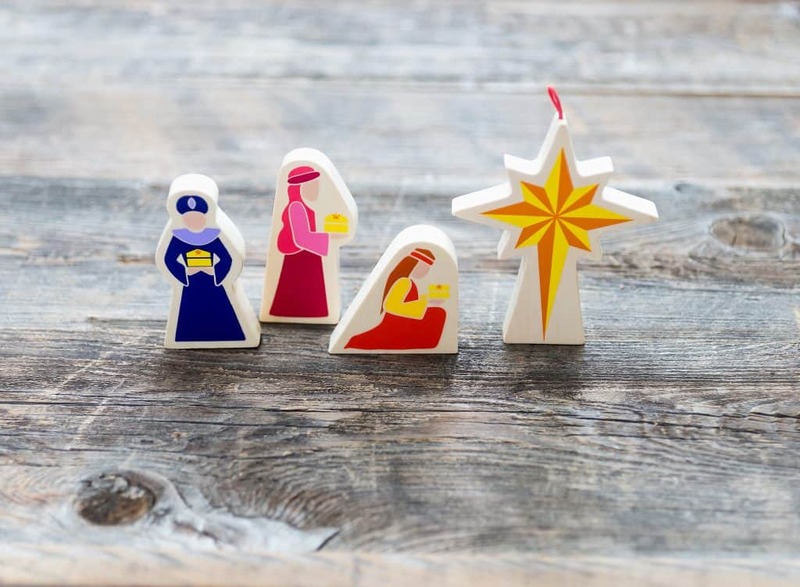 This wooden nativity set features the baby Jesus, Mary, Joseph, the three wise men, a shepherd and sheep, an angel, and of course, the star. The set also includes a wooden stable and hardback book. The purpose of the set is to teach children the Christmas story in an engaging and creative way. Each night, you move the start to a new location (its ok to tell your children that you are the one doing it!). In the morning, your children get to search for the star and once they find it, they move the three wisemen to it. On Christmas Eve, you have the children place the star on the roof of the stable and place the wise men in the Nativity scene. It is so important for me to teach my boys that there is more to the Christmas season than elves, presents, and even Santa. The true hero of the season is a baby, born in humble surroundings, in the town of Bethlehem, destined to grow up become the Savior of the world. 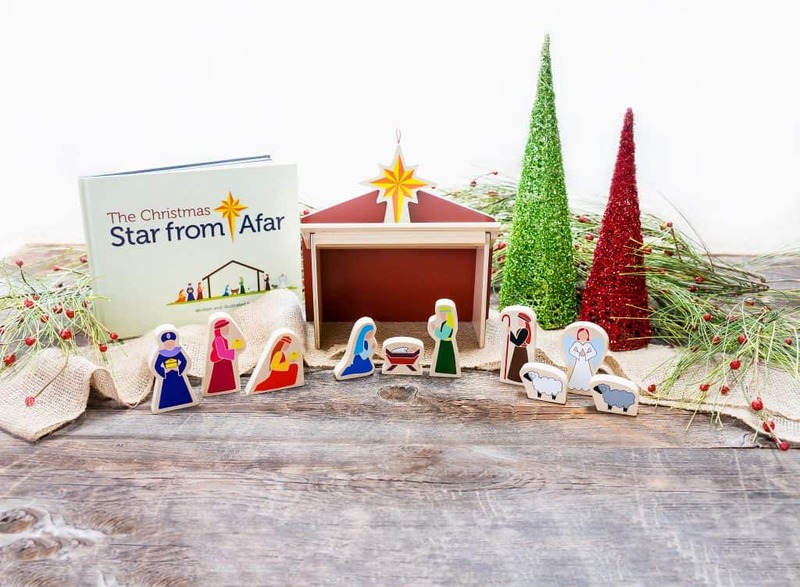 Right now you can win your own Star From Afar activity set by entering the giveaway below. You can also purchase your own Star From Afar from the Star From Afar Website. Additionally, now through December 25, when you use the coupon code FOLLOWTHESTAR you can take 10% off of the activity set. This year, remember the true meaning of Christmas and make Follow the Star a new holiday tradition.